Finn, Stanley, Leo, James, Tanwen, Oscar, Emme, Jack D, Amelia and Maggie. We look forward to many events organised by the School Council over this academic year. On Friday 4th March we were delighted the sun shone as the children put on their trainers and ran for 30 minutes around the school playing field in their Sponsored Fun Run to raise money for the Church Roof Fund. The idea for the run came from the School Council, a group of children representing each year group. 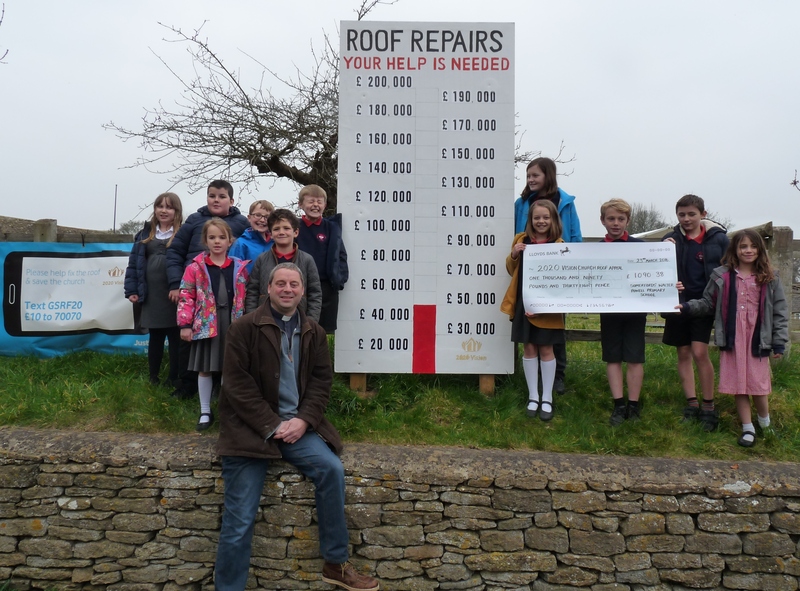 The children were cheered on by parents, Rev Steve Wilkinson and other members of the Church Roof Fund Committee and members of the local community. In total we raised an incredible £1090.38. Our School Council have been busy again organising another fundraising event. 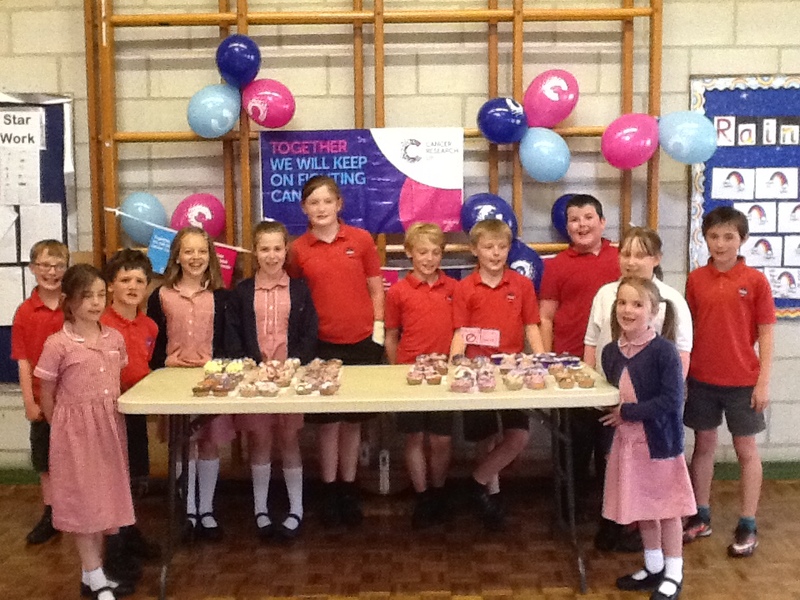 They wanted to raise money for Cancer Research therefore they spent a week selling sweep stake tickets to win a box of chocolates which raised £80.00 and on a Friday afternoon the children paid £1.00 to decorate two cupcakes with a theme of ‘purple’. The school hall was full of icing sugar, fondant icing and cake decorations of all sizes and shapes and the children seemed to thoroughly enjoy themselves. The cakes were judged independently and a prize was awarded to Hugo in Key stage 1 and Andrew in Key stage 2 for their cupcake decorating skills! Katie (Chair), Daisy (Secretary), Andrew, Millie, Max, Arwen, Hugo, Fin, Sam W, Ruby S and Jack T.
We look forward to hearing from the School Council as the school year progresses.